The National Baseball Hall of Fame released its 2019 ballot on Monday and among the new additions for potential enshrinement is former Philadelphia hurler Roy Halladay. Members of the Baseball Writers' Association of America have the right to vote with results shared on Jan. 22. The electorate has enshrined a record 16 candidates over the past five years. Halladay, who finished his career with a pair of Cy Young awards and a pair of no-hitters, is a near guarantee for enshrinement and has a realistic chance of being a first ballot Hall of Famer. 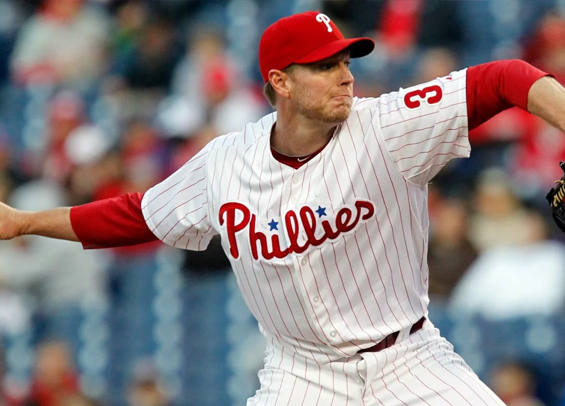 An eight-time All-Star, Halladay's 64.3 WAR is about 9 WAR shy of the average pitcher (63) currently in the Hall of Fame. However, he dominated baseball for nearly a decade and finished seven seasons in the top-five voting for the Cy Young award. Curt Schilling, a former ace for the Phillies in the 1990s, returns on the ballot with four chances remaining to earn enshrinement via the writers' ballot. He appeared on nearly 52-percent of ballots in 2018, needing to reach the threshold of 75-percent for enshrinement.